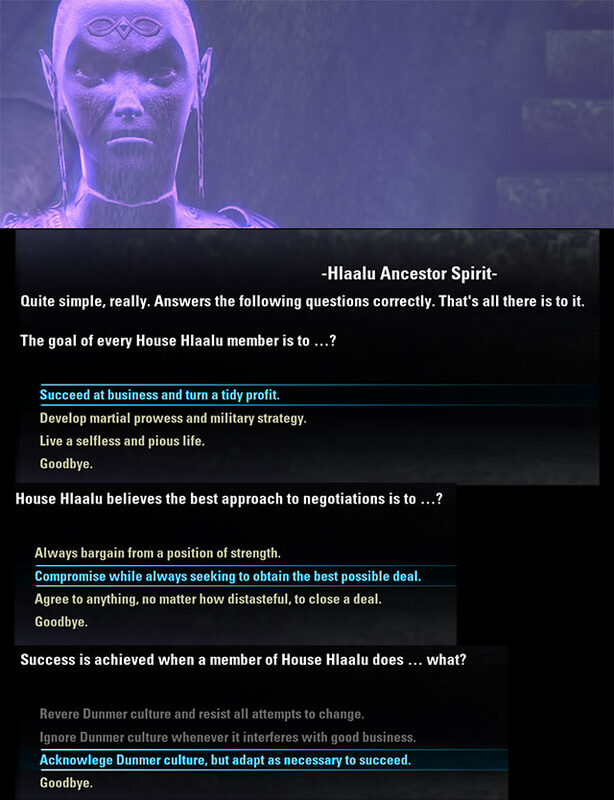 Walkthrough for Lost Library of Andule nice quest in The Elder Scrolls Online: Morrowind. 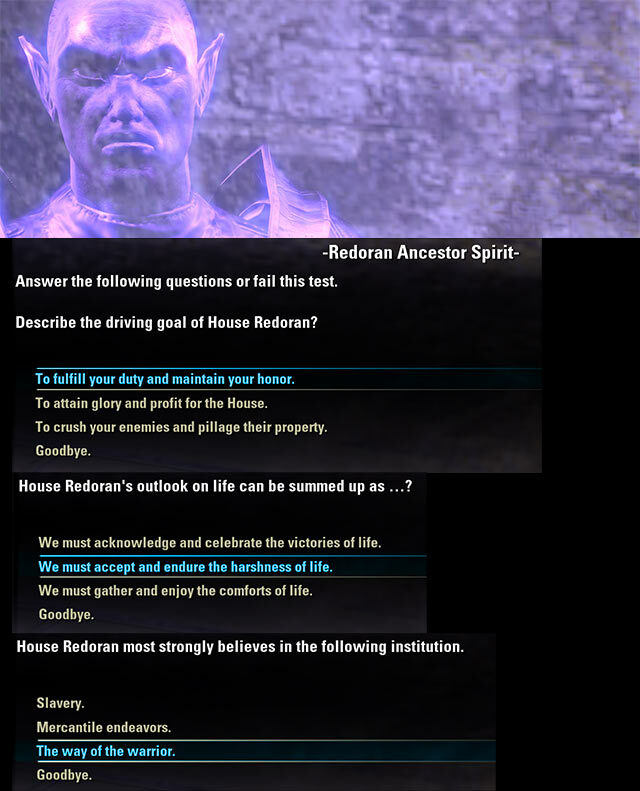 You have to collect 30 Ancestral Tomb Rubbing to discover location of Lost Library in Vvardenfell. 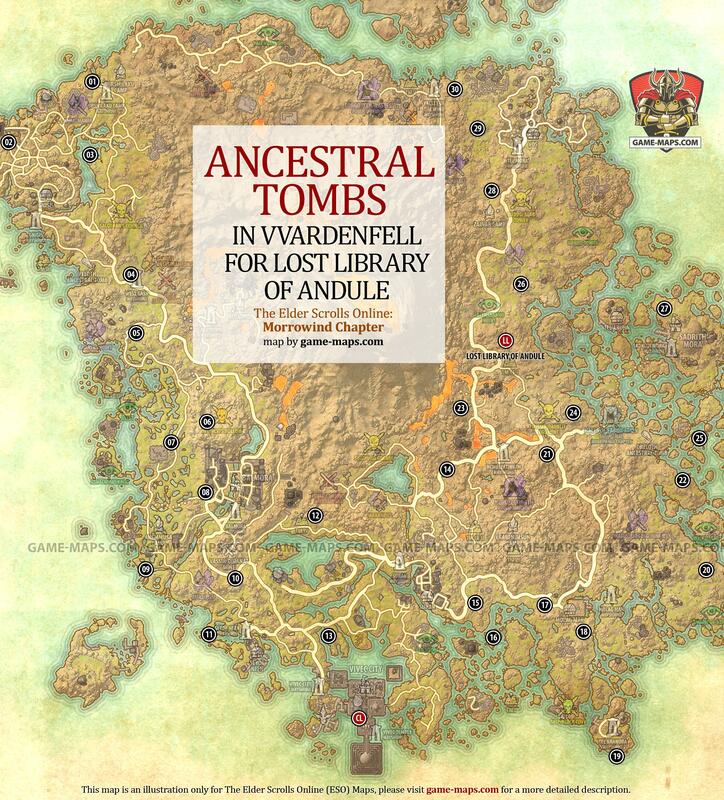 Location of Ancestral Tomb in Vvardenfell - The Elder Scrolls Online: Morrowind. Librarian Bradyn seeks the location of the lost Library of Andule, the secret repository of knowledge of the ancient Great Houses, by building a miniature reproduction of Vvardenfell. To start the process of solving the mystery of the lost library, need to take a rubbings from thirty Ancestral Tombs. The miniature model of Vvardenfell is nearly complete. One section remains missing, which Librarian Bradyn believes is the key to finding the lost Library of Andule. 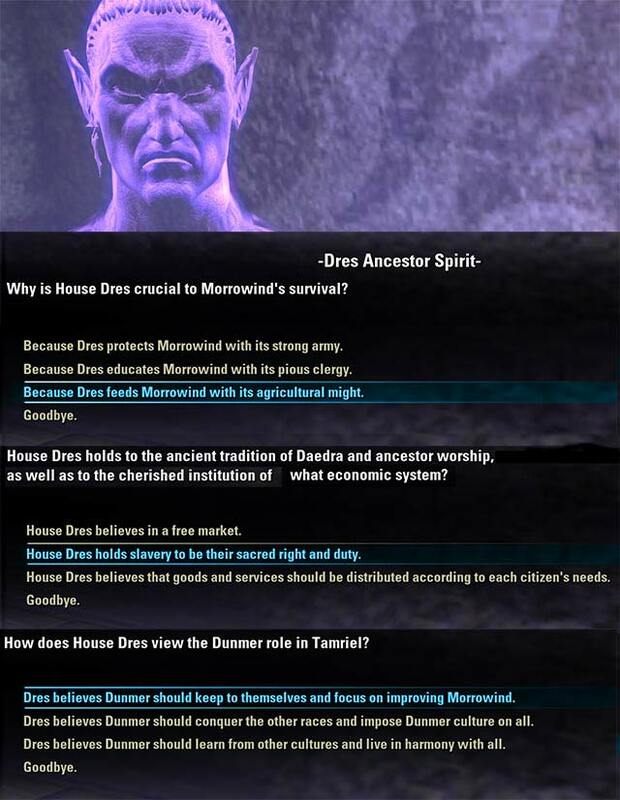 In order to gain access to the stored knowledge of the Library of Andule, I need to walk the tile path that reflects Veloth's journey from Summerset to Exodus to Morrowind to light the Braziers of Knowledge and Wisdom. To open secret location you have to light the Braziers of Knowledge and Wisdom. Braziers are in rooms behind press plates field. Trick is simple. Going to the rooms with Braziers, you can only stand on press plates with three possible runes. You will be allowed runes before entering the hall. Secret location will open, enter. In the main hallway you will find 4 books, read them. Now answer the four guards on their questions. Enter the rooms and take the four genealogies. Return to Librarian Bradyn in Vivec City Library to finish quest. 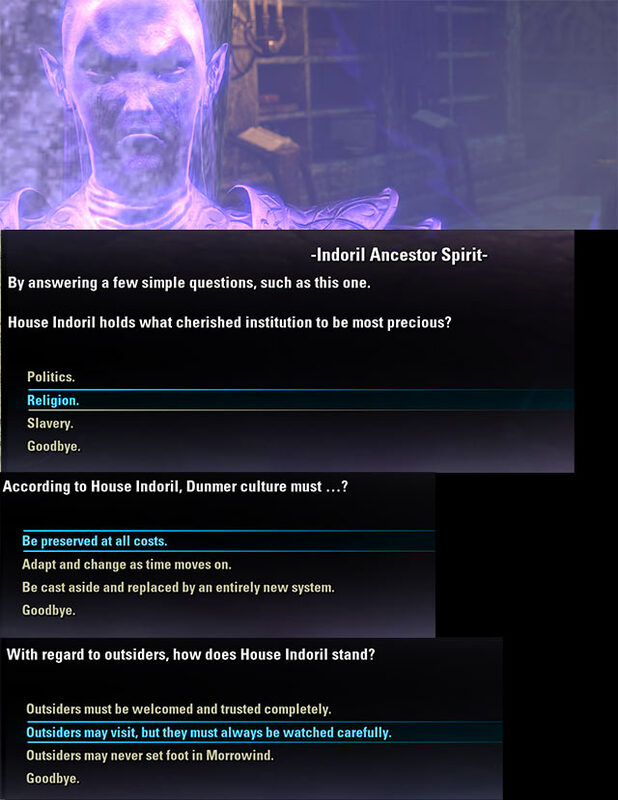 You will get Violet Armour, Vvardenfell Scale Model and Title of Librarian.